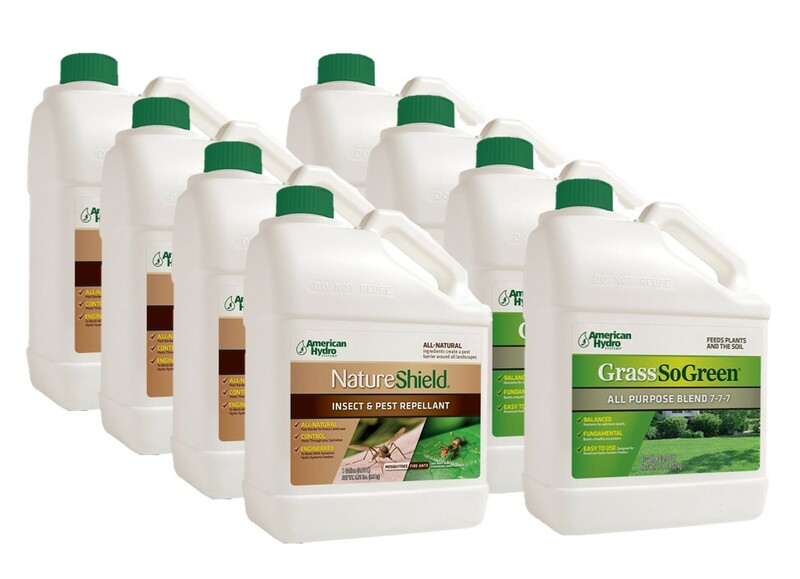 Create a lush healthy lawn using Grass So Green and enjoy the pest free benefits of Natureshield. 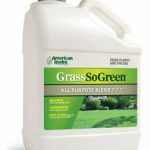 Continually feeding your lawn with Grass So Green throughout the growing season will create a beautiful lawn and reduce the chances of the feast and famine cycles that traditional lawn programs produce. We eat everyday, so should your lawn. In addition, rest easy knowing that your family and friends can enjoy your outdoor living spaces when Natureshield is applied. 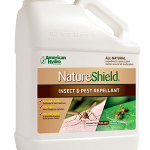 The All-Natural product is perfectly safe for pets and children alike and will create a barrier that mosquitos, ants, ticks, moles and many other pests won’t penetrate. 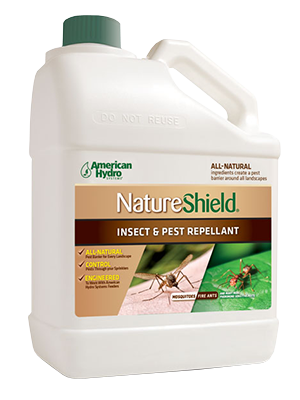 Take your lawn back with Natureshield. 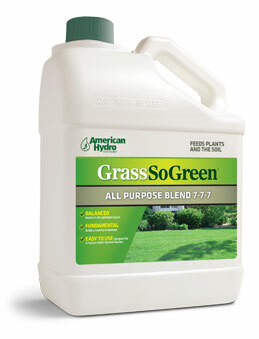 No more expensive fertilizer or mosquito programs needed. No more pushing spreaders around. Sit back and let your irrigation system do the work.